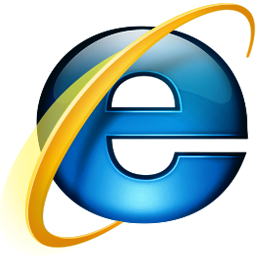 Microsoft revealed this thursday that they are currently readying an Internet Explorer 9 public beta for September. Neowin believes this will be September 2. Microsoft’s C.O.O. Kevin Turner announced the public beta date at the annual Microsoft Financial Analyst Meeting (FAM) on July 29. Screenshots of an early build of Internet Explorer 9 leaked to the web earlier this week. The screenshots revealed that Microsoft is planning a download manager and add-on manager for Internet Explorer 9. Microsoft is also planning broader support for HTML5 in Internet Explorer 9 through its new script engine. Microsoft recently performed W3C Web Standards tests on IE9, including HTML5, SVG 1.1 2nd edition, CSS3 media queries, CSS3 borders & backgrounds, CSS3 selectors, DOM level 3 core, DOM level 3 events and DOM level 2 style. Microsoft, with the help of W3C, performed a total of 192 tests on a variety of browsers. Internet Explorer 9 scored 100% in all eight tests, while every other browser, except Firefox in DOM level 2 style tests, didn’t score perfect in any of the test categories.